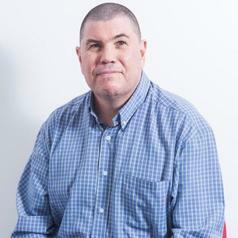 Alex has an international executive management background, having held positions of Sales and Marketing Director, Chief Operating Officer and Managing Director for multinationals such as Sony Playstation (subsidiary licence of Ster-Kinekor), GlaxoSmithKline, Boots Pharmaceuticals and Blockbuster Video. He sustained these directorships in excess of 12 years, whereafter he ventured into business consulting, entrepreneurship and academic activities. With over 100 publications in entrepreneurship and innovation, Alex has presented keynote addresses and lectures at over a dozen conferences and universities across five continents. He is a regular columnist in various local publications and has an international reputation in entrepreneurship education. He has procured substantial funding from external research grants, including an ARC Grant in Biomed, Entrepreneurship and Innovation. Alex is active in PhD and HDR completions and supervision, and has extensive international engagement collaboration networks in the entrepreneurship and innovation domains. He is the recipient of an Australian Learning and Teaching Citation (ALTC), and various international academic awards and scholarships for academic leadership, research and teaching. He was awarded a Faculty Learning and Teaching Award and Research Excellence Award, as well as the Vice Chancellor's Engagement Award. His current expertise and interest is in the development and implementation of cross-disciplinary entrepreneurship and innovation education programs. He is nationally renowned for his leadership and research in senior entrepreneurship. Apart from the appointment as Vice-President of the International Association of Organisational Innovation, Alex is a visiting Professor at Chang Jung University (Taiwan) and HuaQiao University (China) and Saarland University (Germany).